In my opinion, Johnny Depp is most beautiful and talented man of his generation. He is constantly working against showing his beauty but it is unfortunately the only thing he doesn’t succeed in, and never will. Even if you don’t admit Johnny’s incredibly good looking, you cannot deny he’s the most gifted actor alive. No other actor has a variety of characters as his. Not only the characters he’s best known for, but all those he did just for his own reasons and didn’t do a massive box office. His real life « character » is definitly the best of all, and the way he behaves with his girl (Vanessa Paradis) and his kids is incredibly adorable. Johnny Depp’s everything but superficial, instead, I would say he’s very deep. I believe no one but his friends really knows who he truly is. He also has the best gift an actor could ever have, he doesn’t care about what people think of him. Ma petit chouuuuuuu!!!!! j’adore ton blog!!!! Who are you? i have never met you before. i am friends with his old bodyguard Alistar! He is super hot ( johnny not alistar!) but i think you are too obsessed and need to get a life! im joking i love you even tho ive never met you!……. and i have never lived with you EVER! People that read this… ( although i dont think anyone will) I DONT KNOW HER! yeah thanks 4 keepin ur promise suzie! am actually quite proud of my website! it has only been on 4 3 days n already hav 11 visitors!! bye cracker buddy! the scarcrow hat on your voodoo doll!!! Hi! i lov johnny depp and everything but why would you creat a website about him it is cool and how do you creat a website??!! le site est trop cool,les photo trop styler et les couleur d’enfer!Ton site est super la biographie interesante et en total je donne le note de 98 sur 100 pour avoir presque que rien copier! ya im goin 2 the art trip louise! and george was MARGE as she hated it! i no it took me ages 2 do the tattoo page coz i wrote it all myself! keep in touch me tenis/rounders buddy! i cant belive you have so many views !!!!!!! its amazing and awesomeeeeee !!!!! haha j’adore tu !!!!!! i cant beleive youre gone, sorry i didnt say bye. u now hav 27 visitors. your website is so cool and i will miss you when we get back to school on monday but corrie……………….YOU ARE FREE TO GO HOME TO FRANCE AWAY FROM US i bet yor sooooooooooo exited mabye your already in france bu then again mabye not. talk later tennis/rounders/cracker buddy PS just so you no i will still be doing the friday routine all by myself, alone, lonley, all alone. 32 PEOPLE YAY go you!!!!!! im back.!!!!!!!!!!!! i dont hav much time to right but its summer woooohoooo hav i already told u probably oh well i dont hav anything else to say so byyyyyeeeeeee ill rite soon!!!!!!!!!!! heeeeeeeeeeeeeeeeeeeellllllllllllooooo! wow 52 peeps thats gr8 and im the 53rd!!! yays!! its looking good now! whhhhhhhhhhhhhhhhhhhhhhhhhhhoooooooooooooooooooooooooooooooooooooooooooooooooooooooo this is awesome!!! Nice blog! Many thanks for creating it. Keep working that way. you have 9008 visitors corrie woohoo!!!!!! 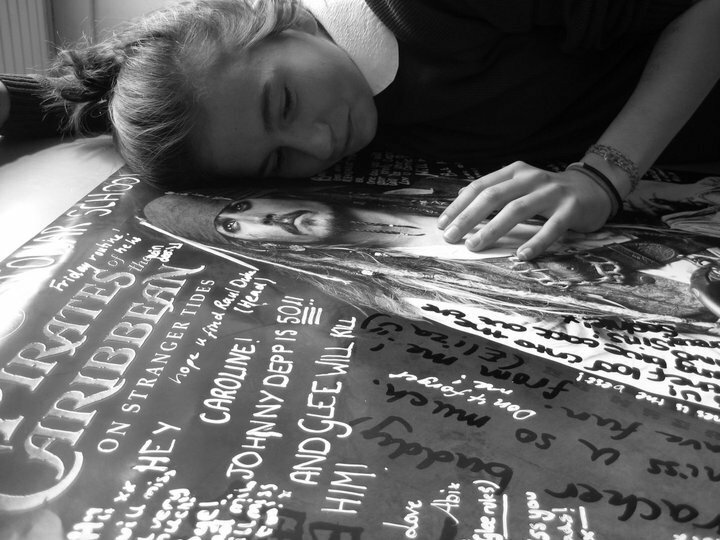 Very informative post about Johnny Depp and actually I’m proud to be one of his million fans. A website dedicated to the outsider Johnny Depp, his work and secrets. Have a look around, and tell me you can resist him!!! Lucieee dans Who’s Johnny Depp? i love hollywood dans Who’s Johnny Depp?